Originally built in the 1860s, this traditional log cabin shows signs of the years it has faced with an attractive, distressed look to the exterior. 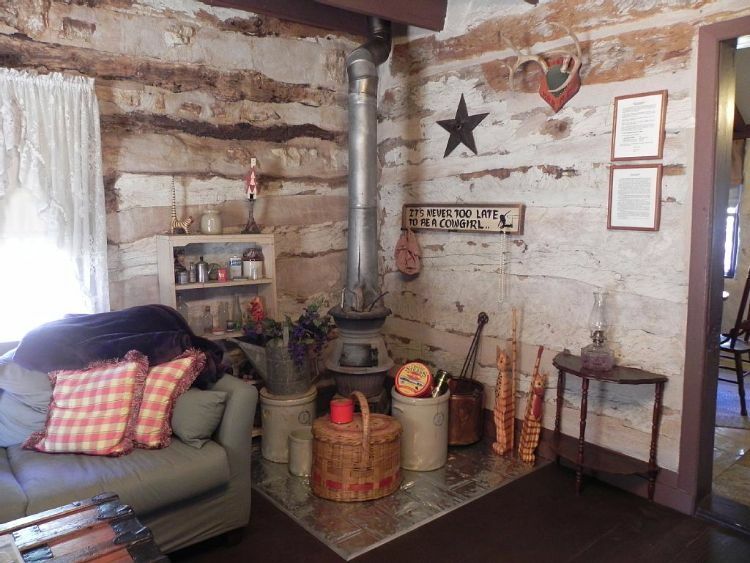 We love rustic elements in log cabins – it is one of the reasons we return to vacation in the woods time and time again. 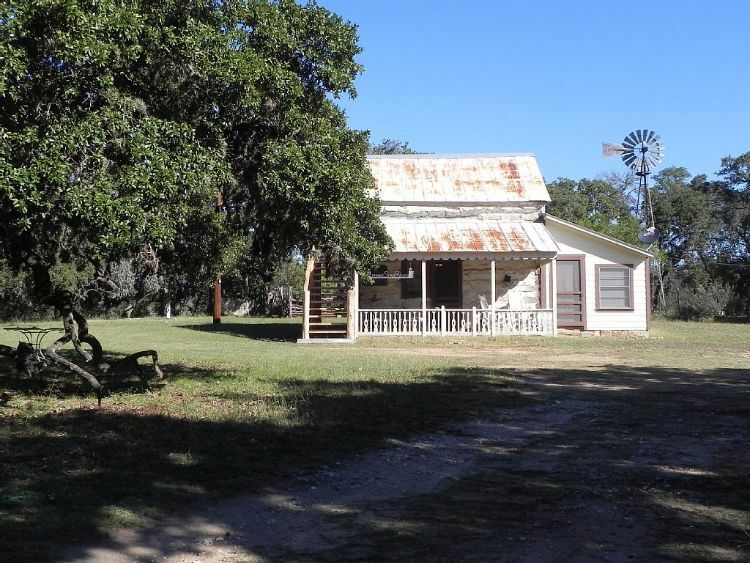 Located in Fredericksburg, TX, this charming log cabin is situated on 160 acres of oak-filled land. 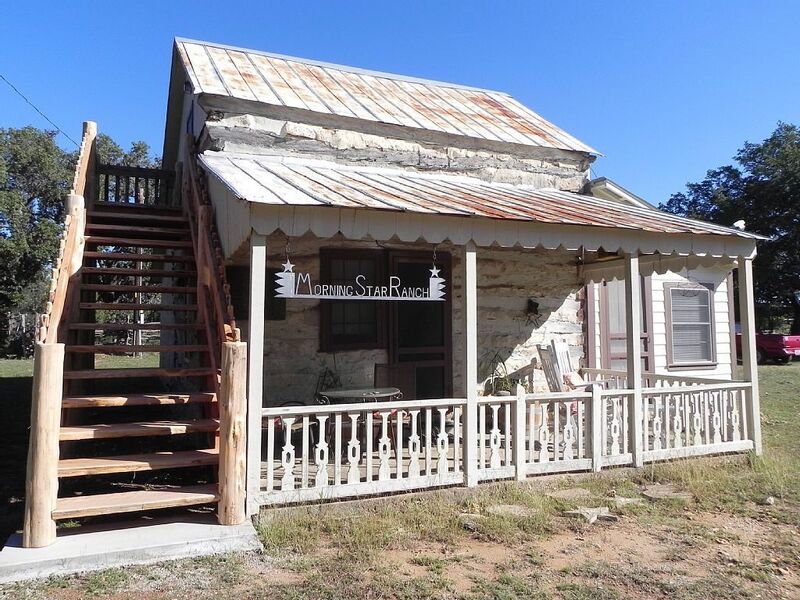 Morning Star Ranch is listed for vacation rental on HomeAway, giving you the opportunity to explore Texas Hill Country from an attractive, rustic base. This ample-sized cabin has a well-proportioned floor plan that includes two bedrooms and one bathroom. The interior is filled with interesting features which are sure to inspire you. Shall we go inside? The unsophisticated exterior is a welcomed sight. We like the look of log homes that have aged well. Although the whitewashed exterior is a little different from what we are used to, the rustic nature of the home shines through. 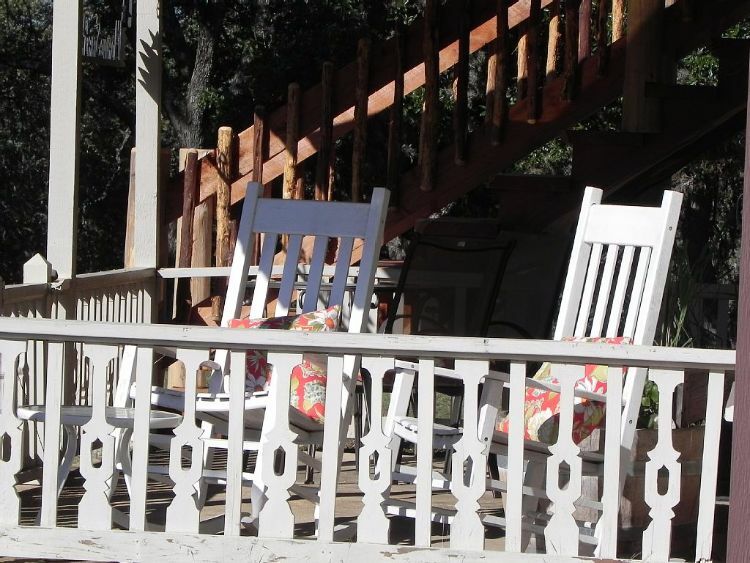 Every log cabin should have a front porch with rocking chairs — it has become an institution and a necessary part of cabin culture. Inside the cabin, we notice the same distressed look lines the walls of the interior. It creates a welcoming, homely scene. The antique wood-burning fireplace is a pleasant addition for cozy, relaxing evenings. 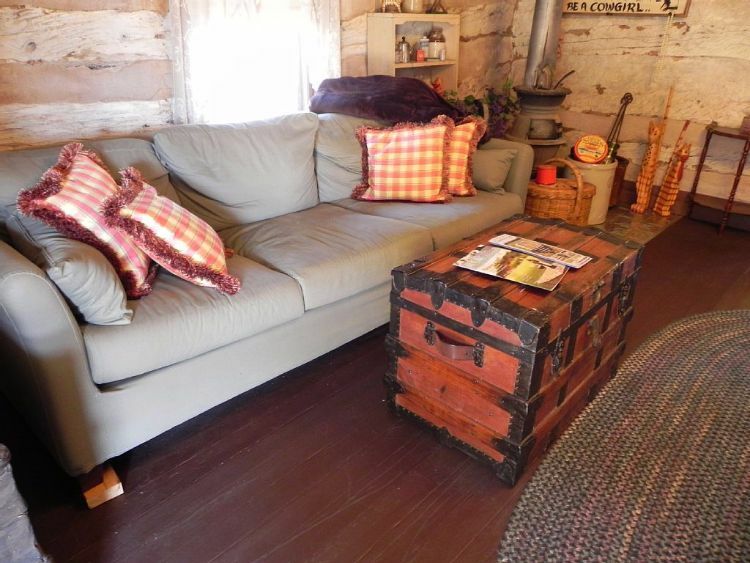 The cabin is decorated with attractive furniture that matches the overall tone of the house. The comfy sofa is the perfect place to recharge after a long day of hiking. The kitchen and dining area are separate from the main living room. 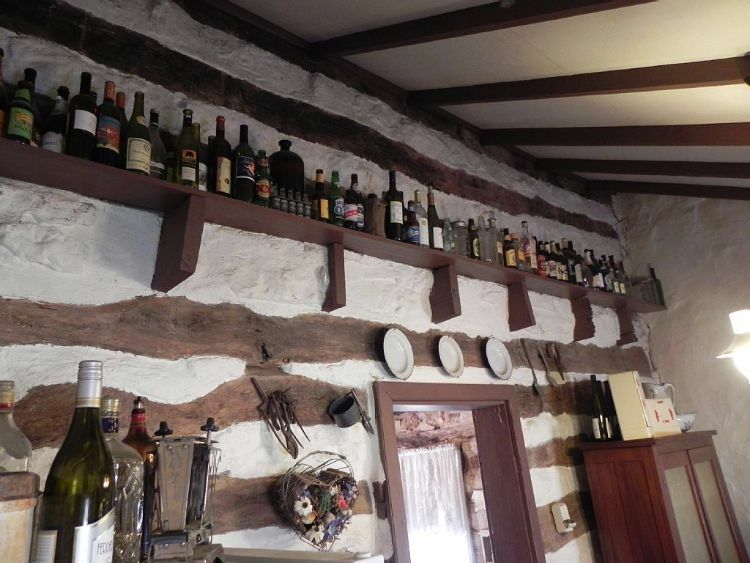 The kitchen has plenty of cool rustic features which give you a constant reminder of where you are staying. 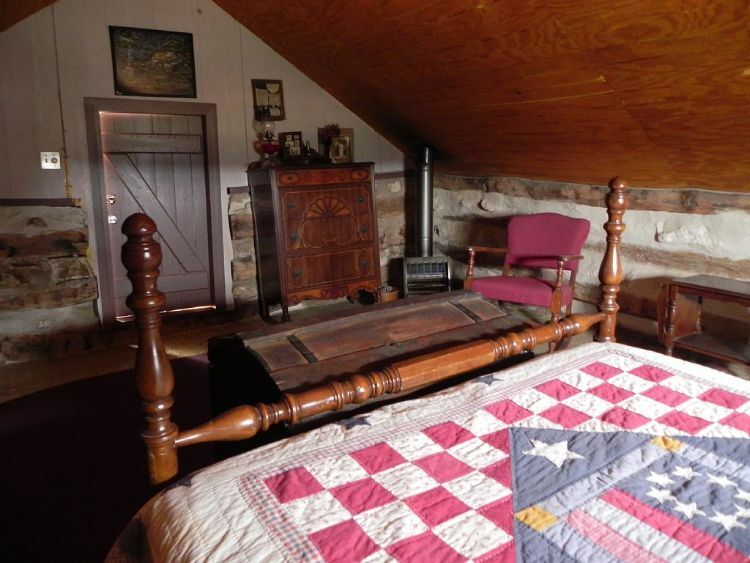 The cabin has two bedrooms; the master is located on the upper floor. 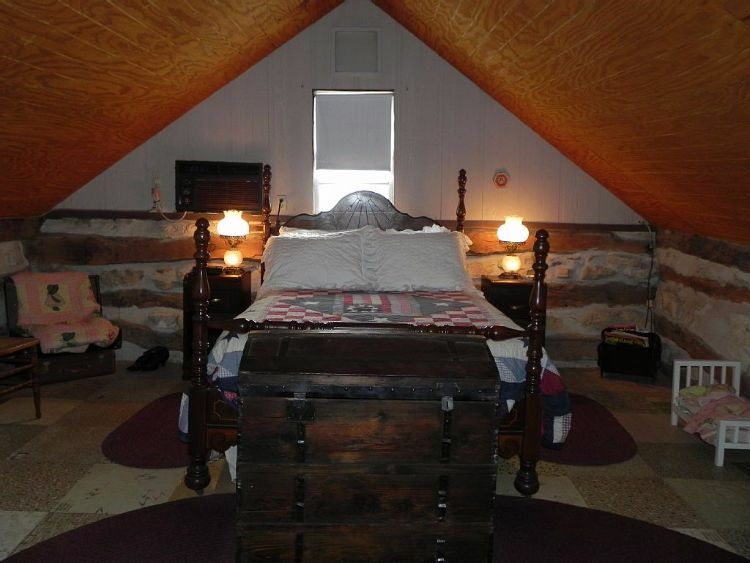 It is a cozy space that is finished with beautiful antique furniture to create a delightfully rustic sleeping space. 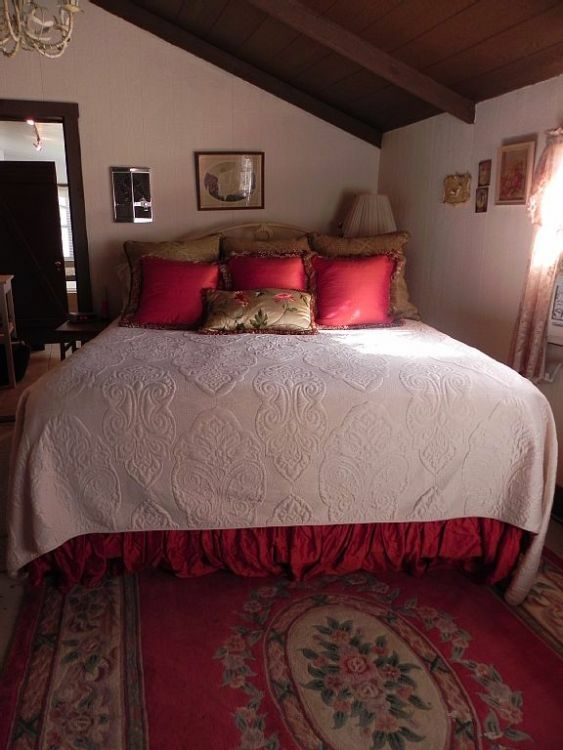 The second bedroom also houses a queen-sized bed, meaning this small cabin can comfortably sleep four adults. 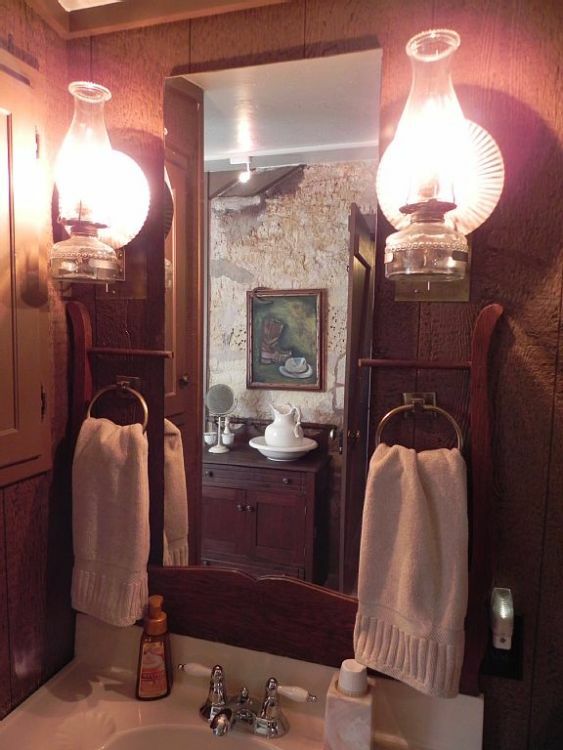 The bathroom in Morning Star Ranch is tastefully designed with a classical theme that creates a timeless space. 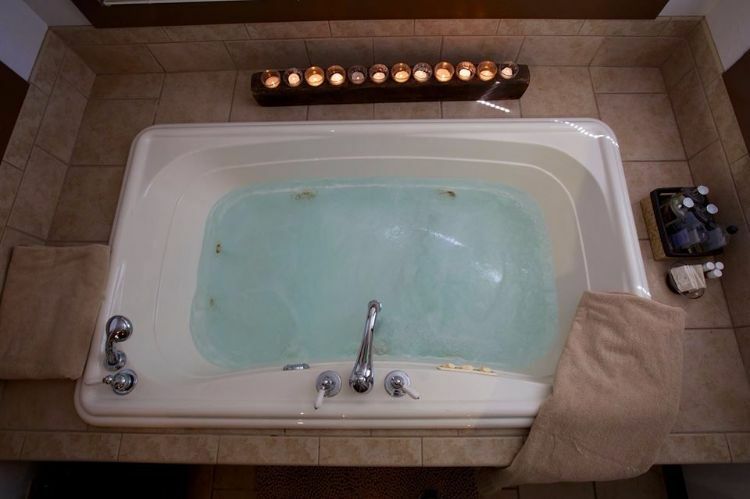 The bathroom even includes a built-in whirlpool tub! 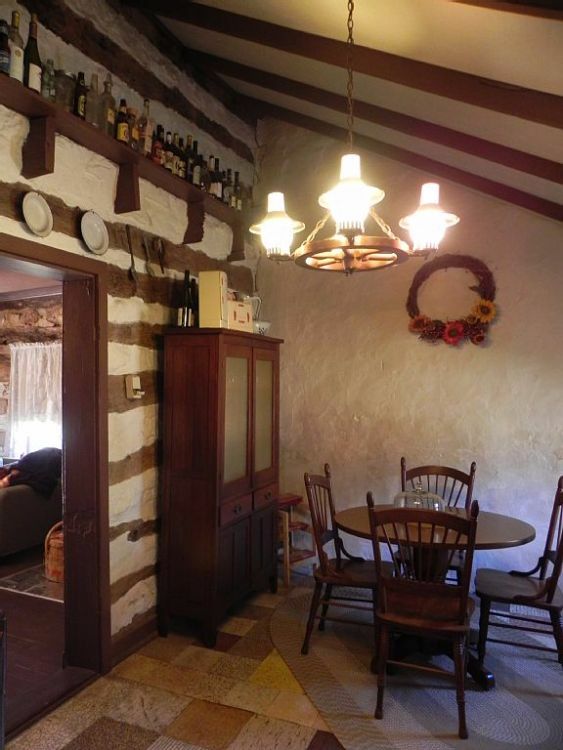 Is this your idea of a log cabin getaway? Comment, like and share on Facebook!